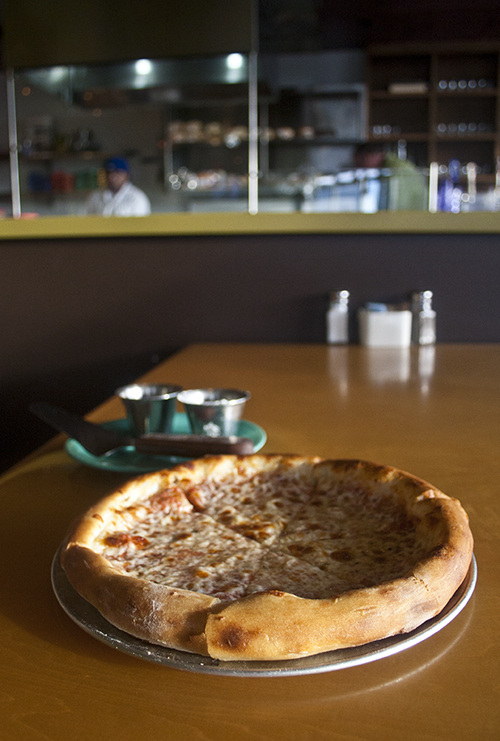 At the end of 41st Ave on your way to East Cliff is a fairly new establishment known as the Pleasure Pizza East Side Eatery. Owned and operated by the same owner as the Pleasure Pizza right across the street, The East Side Eatery offers many more dining options than its grab and go, single slice serving sibling. 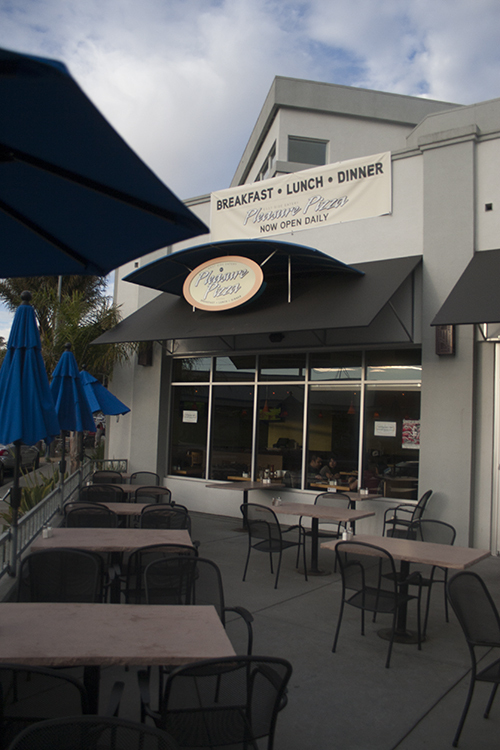 At The East Side Eatery you can sit down and enjoy a full meal with friends or family. With items on the menu such as salads, sandwiches, soups, pastas, nachos, tacos, and more there is an option for just about anyone. Current owner, Derek Rupp, is usually on site keeping the place running and sometimes even jumping behind the counter and cooking up some special meals for his customers. Derek Rupp, who previously worked as a chef at Google is always working on new, fun menu items to keep the Santa Cruz locals happy and coming back for seconds. Oh and don’t forget to bring the kids. Local legend skate artist Jimbo Phillips drew up a custom kids menu for groms of any age to color. With simple items like grilled cheese, quesedillas, and chicken tenders you will certainly find an item on the menu for the little ones. Oh and did i mention they have an awesome outdoor patio looking out to the intersection of 41st Ave and Portola Ave? 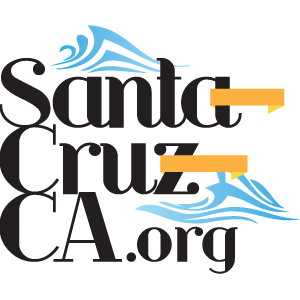 East Side Santa Cruz surf culture central. A great place to sit outside, take in the sun, and possible see a friendly face walking down the street to check the waves. On weekends live bands come and perform on the patio. One thing to warn you about though if you haven’t been here yet…they don’t serve single slice pizza. If you want a slice to grab and take down to The Hook and watch the waves, you’re going to want to go across the street. If you are wanting to grab a sandwich to go or wait for a whole pizza then yes, this is the place. Although this location definitely gets a big tourist crowd during the Summer season, this place is a great locals hangout as well. With multiple flat screen televisions playing sports games, streaming surf contests, or looping surf videos many locals come here to grab some beer, pizza, and hang out for a bit. If its slow, the staff is always down to chat about the surf for a bit. 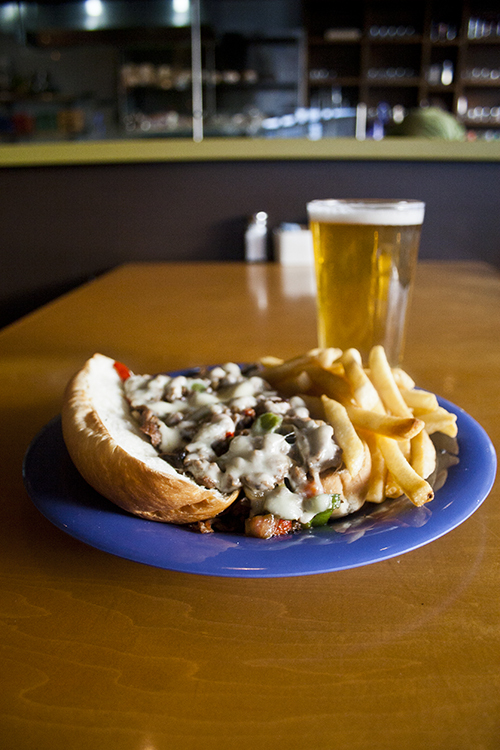 The East Side Eatery is a place of great vibes and awesome food. If you haven’t checked it out yet you should head over there for lunch sometime soon or even for a family dinner. They currently serve breakfast only on weekends, but Ive heard a rumor that they might be offering breakfast throughout the week as well. My favorite items on the menu? for an effective online marketing strategy. hOur company provides a wide variety of non prescription products. Take a look at our health website in case you want to look better with a help health products. Our company provides a wide variety of non prescription drugs. Visit our health site in case you want to strengthen your health. Our company offers a wide variety of non prescription products. Take a look at our health site in case you want to look healthier with a help general health products. Our company offers safe pills. Look at our health contributing site in case you want to strengthen your health. Our company offers a wide variety of non prescription drugs. Look at our health site in case you want to to feel healthier with a help of generic supplements. Our company offers herbal health and related products. Take a look at our health contributing portal in case you want to feel better. Our company offers a wide variety of non prescription drugs. Visit our health website in case you want to strengthen your health with a help of generic supplements. Our site offers a wide variety of non prescription drugs. Take a look at our health portal in case you want to to improve your health with a help general health products. Our company provides a wide variety of supplements. Look at our health contributing portal in case you want to look healthier. Our company provides a wide variety of non prescription drugs. Visit our health portal in case you want to to improve your health with a help of generic supplements. Our company offers supreme quality healthcare products. Visit our health contributing website in case you want to look healthier.